Show and tell: colorwork accessories. Time for another round of show and tell! Colorful knitting projects are popular around here – I had enough colorwork hats to fill a recent blog post, and now I’m back with other colorwork accessories. Is a stuffed chicken an accessory? 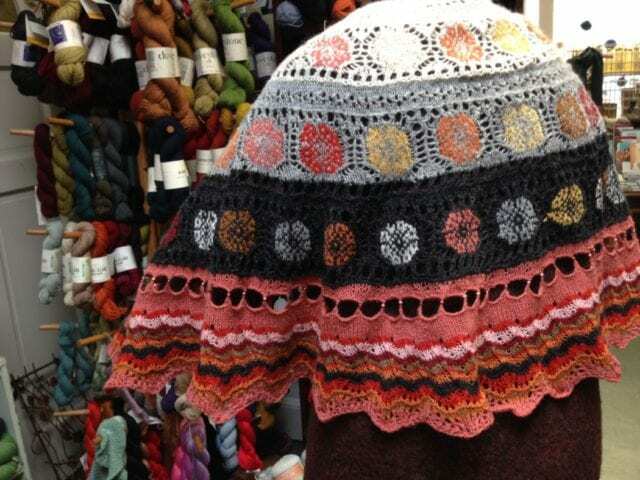 Whatever category it belongs in, Amy’s “Fancy Hen” is adorable, and beautifully knit. 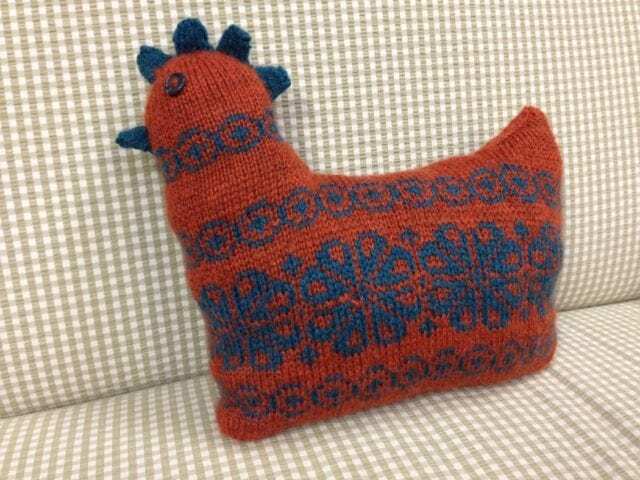 In preparation for a class on the subject earlier this year, she knit this charming chicken with Baa Ram Ewe Dovestone DK, a yarn well-suited to stranded colorwork. 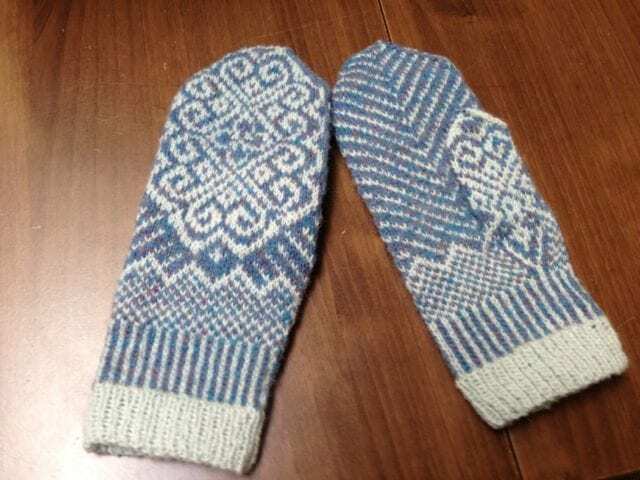 Ellen knit these intricate colorwork mittens with Jamieson’s Shetland Spindrift. 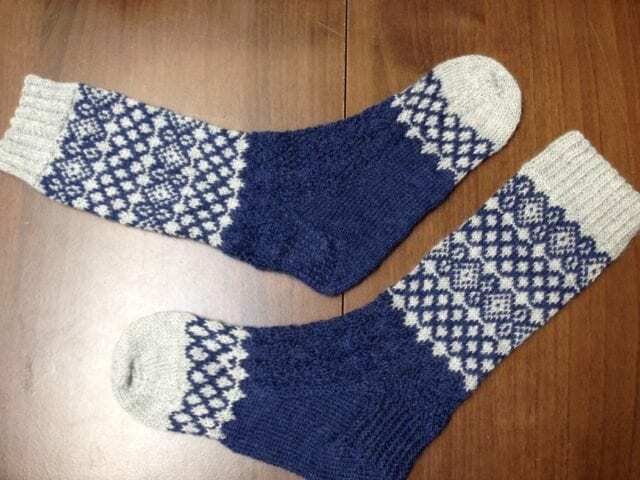 The pattern is from Jorid Linvik’s Big Book of Knitted Mittens, a great resource if colorwork mittens are your cup of tea. A cute pair of mittens is a great starting place for learning and practicing stranded knitting, just like a hat or any small accessory. 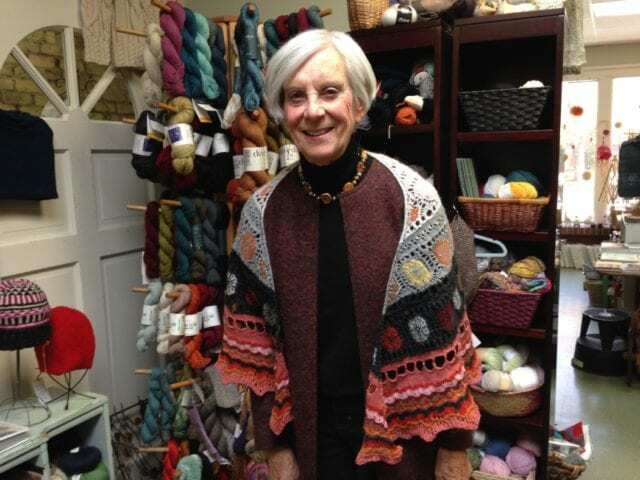 Here’s Margie in her “Fresco Crescent” shawl, by Kieran Foley. This shawl is an impressive combination of knitting techniques from lace and stranded knitting to intarsia, stripes, and beading. 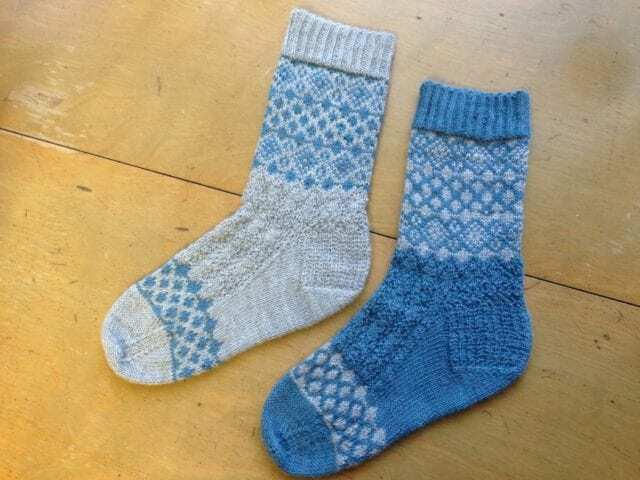 She used Jamieson’s Shetland Spindrift in a big palette of neutrals, reds, pinks, oranges, and yellows, working these colors intuitively into the piece as she went, rather than planning it all out ahead of the knitting. Gwen’s “Hudson” shawl, by Shannon Cook, is a simpler design of stripes and lace, but no less striking. Gwen’s color choice in Ewe Ewe Baa Baa Bulky is particularly eye-catching; she knit it to wear to a spring wedding and finished just in the nick of time. Karin knit not one, but two pairs of Rachel Coopey’s “Alfrick” socks, using Coopey’s own CoopKnits Socks Yeah! yarn for both projects. Thanks as always to the talented knitters who shared their work here today, and to everyone who starts their projects with a trip to the Hillsborough Yarn Shop. 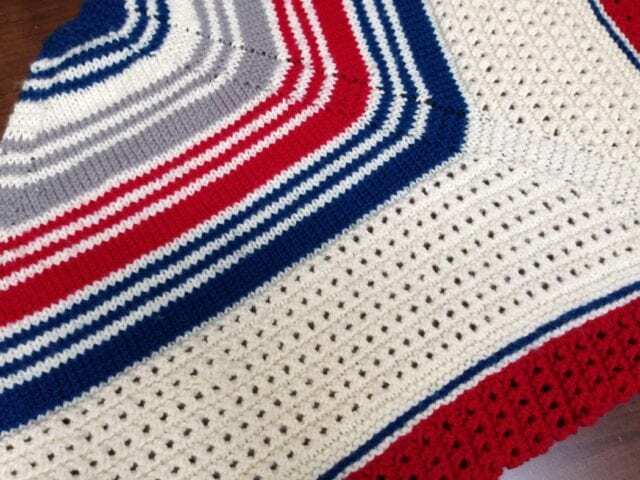 I’ve got even more colorwork show-and-tell in store for the coming weeks – stay tuned!